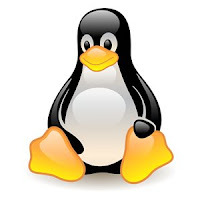 If you are a newbie to linux, then you may wonder what applications to install for your needs. Linux has a wide range of applications for each category. Here are some of my favourite that will help a LINUX user a great deal. This is the one that you will want to install right away after installing and updating your system. There is nothing to tell about VLC Media Player because you guys know it better than me. And the best part is it remembers the last position where you left off. It plays every major codec. This is a must one. Are you tired of going through the menu everytime you have to open an application. Synapse allows us to easily navigate through the menu. All you need is to set a shortcut key combination and then the magic works like hell. Synapse is not just limited to applications. It searches for Files, Audio and Activities too..
GIMP is the open source alternative to Photoshop. This one is a must have for your LINUX system if you are a photo nerd. GDebi is a 'deb' package installer. Since it is a lightweight application, it is useful for installing 'deb' files instead of opening the resource heavy software manager every time. This one is used to download youtube videos. It is much easier to download the video. All you need to do is paste the URL of the video and ClipGrab will show the title of the video for your identification. One cannot deny that Google Chrome is the fast growing browser in this Internet world. However Firefox comes by default in all the major Linux distros. This one is sure a hotty application. Deluge is the best bittorrent client out there for LINUX.